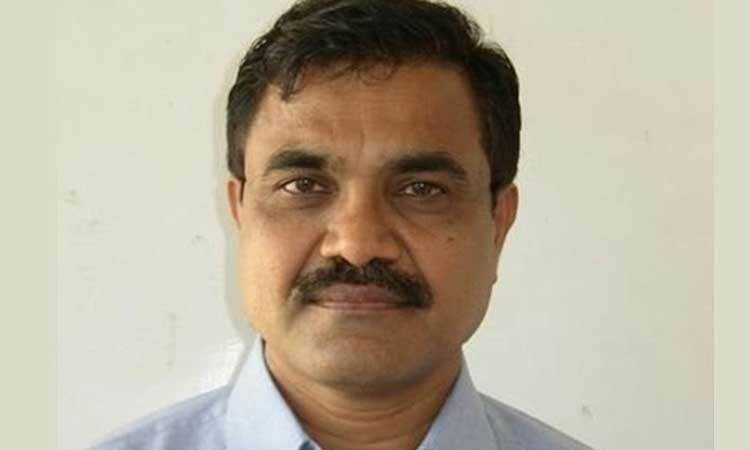 Pune : Np New Network – February 1, 2019 – A special court today rejected the anticipatory bail application of civil rights activist and author Anand Teltumbde in connection with the Elgar Parishad and the Bhima-Koregaon violence case. What is Elgar Parishad case ? Pune city police’s case is that on 08/01/2018, one Tushar Ramesh Damgude lodged FIR at Vishrambaug Police Station, alleging in that in Elgar Parishad organized on 31/12/2017 at Shaniwar Wada, Pune, there were few speakers, singers and other performers present on the stage, and some of the performers enacted short plays, dance, songs, which were provocative in the nature, and had effect of creating communal disharmony etc. Initially offence was registered under section 153-A, 505 (1) (b), 117 r/w.s 34 of the Indian Penal Code. Thereafter, on 17/05/2018, sections 13, 16, 17, 18, 18(b), 20, 38, 39 and 40 of the UAP Act were added, and some of the accused were arrested, and they are in judicial custody. Moreover, as per the prosecution case, name of present applicant/accused (Teltumbde) is disclosed in the alleged commission of offence, and in investigation, it is disclosed that the present applicant/accused along with other accused and absconding accused hatched conspiracy to create communal harmony to strike terror in the people with intent to threaten, or like to threaten unity, integrity, security, sovereignty of India by using explosive substances, and by means of criminal force over-way Government established by law to create instability in the State of Maharashtra and in India etc. Moreover, as per the prosecution case, present applicant/accused (Teltumbde) and other co-accused were active members of banned Maoist Organization (CPI). What is Teltumbde’s lawyers defence ? Teltumbde’s lawyer Rohan Nahar submitted that his name is not mentioned in the FIR, and he has not attended meeting-Elgar Parshid held on 31/12/2017. He further submitted that the applicant/accused is Senior Professor and Chairman at Big Data Analytics, situated at Goa Institute Management, and he is one of the leading public intellectuals, who writes and speaks on issues of caste, people’s struggles etc. He further submitted that the applicant/accused holds degree in Engineering and Business Management from reputed University, and he is also conferred D. Litt. by Karnataka State University. on 28/08/2018, Pune police conducted search of house of applicant/accused in Goa, without any warrant, in absence of applicant/accused, or his family members. He further submitted that the applicant/accused has been residing in Goa,and was available for investigation in the present crime, but Pune Police, till this date, has never summoned applicant/accused for interrogation or investigation. Teltumbde was invited to Paris to participate in Conference “Orders to Violence”, which was organized by American University in Paris, and all the expenses borne by the said University. He further submitted that the prosecution is relying on some letters, which are vague in nature and same were not found in possession of applicant/accused, and contents of the said letters, are not shared by the present applicant/accused, and the said letters found and seized from some one else’s custody, and not from the present applicant/accused. He further submitted that there is no evidence with the prosecution to show involvement of applicant/accused in the alleged offence, therefore his custodial interrogation is not necessary. Therefore, he requested to grant anticipatory bail. What is the say of Pune police ? The Special Public Prosecutor Ujjwala Pawar submitted that the Teltumbde had approached Hon’ble High Court Bombay and Hon’ble Apex Court for quashing FIR against him, but his petitions have been rejected. From the material collected by Investigating officer, it is crystal clear that present Teltumbde is also involved in hatching conspiracy to create communal harmony, and intended to threaten to unity, integrity, security, sovereignty of India. She further submitted that the grounds mentioned in the petition for grant of anticipatory bail, are not correct and legal. She further submitted that the present applicant/accused along with other co-accused, in pursuance of criminal conspiracy committed and continued to unlawful activities of Organization i.e. Maoist Organization (CPI), which is banned Organization,and its frontal Organization namely Anuradha Gandhi Memorial Committee and other frontal organization,with intent to promote its harmony and filling of enmity etc., which disturbed and likely to disturbed public tranquility,and caused disaffection against Government of India, and thereby creating instability in the State by insurgent activities, with an intention to destabilize Government.